This is the first replay analysis I will be doing. I plan to do 1-2 every week for as long as I can keep up with writing them. If you would like me to cover a replay of yours, you can submit them using the link here. The first replay I will be going over is a diamond 1 level ZvP on abyssal reef played by Frugs (Zerg) and WhiteNinja (Protoss). I am going to split this analysis into three parts, first major changes. Major changes are going to be the big mistakes that occurred in the game which caused the game to be lost. These are the things that I would recommend focusing on. Second will be minor changes. Minor changes are just small things that could be done better. I will be really trying to find these and there may be a lot of them but they don’t impact the game nearly as much as the major changes section. They are just some things to keep in mind that will improve your play and could give you an edge. The last part will be things that are done well in the game. I don’t want anyone during these articles to feel like they did nothing right or that there are only mistakes in every game. Everyone makes many mistakes every game, even the pros and StarCraft is largely about who makes fewer mistakes. This is why I will be including everything I can find in the minor changes section. With that being said it is good to review what is going well for players during games, or else it is possible to become too negative. The biggest and only change to make in the early game is to make more queens for defense and creep spreading. You only make one, but more queens are incredibly useful in defending archon drops because they can target down warp prisms and take a lot of archon attacks. I would recommend at least two, but generally 3 or 4 is a good number. They come in handy late-game as well to transfuse broodlords. This part is important: reinforcing zerglings need to be made into banelings. The Zerg has the resources to make the banelings but instead runs all of the reinforcing zerglings into the army with archons in a choke. The zerglings are completely wasted larvae and resources but could have won the game if banelings were morphed and sent in to help the hydras and take out the Protoss who is reinforcing with chargelots. Micro against storms. Multiple times you just a move into psionic storms and lose large chunks of your army. You want to box your hydras or banelings and micro them backwards and force the Protoss to move forward into you so you aren’t taking so much storm damage. Especially during the engage at 11:50. Creep Spread. You spread a few tumors in the early game and then completely forget about your creep queen. Creep spread will help your defensive engagements go a lot better. It takes one minute before the larvae and resources are spent. Something to note: and engagement is lost at 11:50. Those amount of hydras, lings and corruptors/brood lords could have significantly increased the strength of the army during that engagement if the larvae and resources were spent earlier. There are a lot of things done correctly in the early game here. First of all the opening build order was very refined and the scouting was so well done Frugs might as well have been map hacking with his speed overlords. Seeing the archon drop incoming the response is near perfect. However there are a few minor things that could be optimized. Only need 2x lings at the start of the game to scout/chase probe. If you scout an early adept on the way with overlords make 2-4x more. The spore crawler in the main base was placed way earlier than necessary. The ones at the natural and third bases were placed at good times. Main base saturation drops to 14/16 @3:40 and the natural becomes over-saturated @4:10. Fourth base is taken at 6:30, since there is no pressure coming from the Protoss at this time you can take it earlier @6:00. @6:50 You start hydralisk production, @7:50 you make 8 more drones despite there being no pressure. At this point you should have changlings/single zergling scouts on the map to see if there is anything coming your way and if not you can make the drones first and the hydralisks second. 8 Drones mining for a minute is relevant. Your hydras can’t make up their mind of what to do. You start stutter stepping them towards the enemy army before deciding to take out the nexus and run away. If you had just target fired the nexus with hydras the nexus would die faster and more hydras would escape. You stop droning at ~72. Zerg does better on 77-80 drones and in this game there is no reason to not be at that drone count. @11:40 there are 5 roaches made for no particular reason. 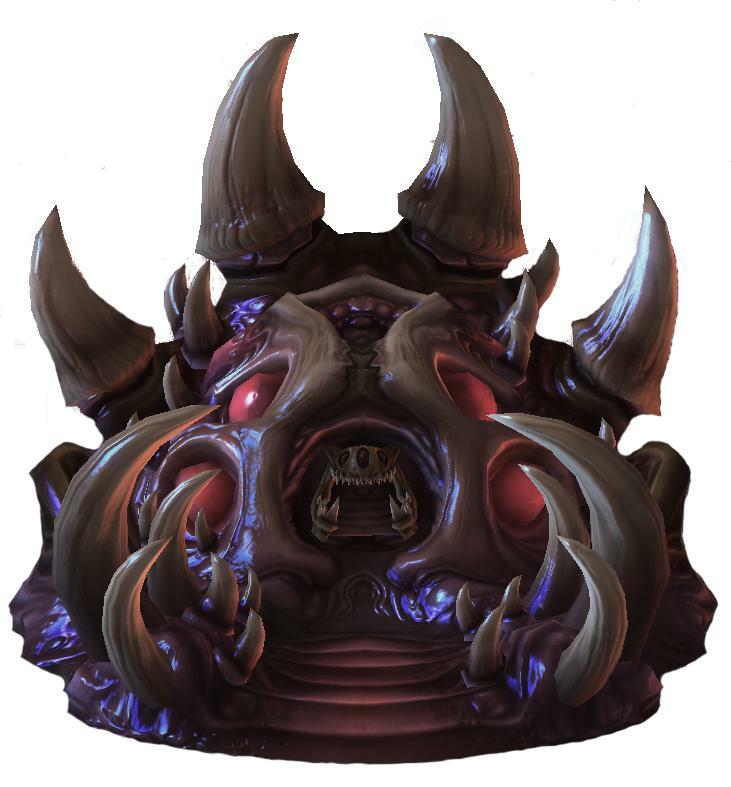 The zerg had the resources to make hydras, banelings, or more broodlords. Without roach speed this late in the game, these roaches are simply 10 wasted supply, 10 wasted larvae, and 750 minerals and 250 gas wasted. Adrenal Glands gets added super-late. This upgrade makes zerglings incredibly powerful and should be started soon after hive finishes. Your broodlords are on the same hotkey as your main army. This is bad, you want to have them on a separate hotkey so you can micro your broodlords backwards while sending in broodlings during engagements without reducing the dps of your main army. For late-game consider getting lurker tech. A few lurkers underneath broodlords can be incredibly helpful against these types of Protoss armies. There are many things done well by the Zerg player in this game. The opening build is great and the scouting is incredible. On top of this the game knowledge of what the Protoss player is doing and how to react to it is near perfect. The overlord spread in the later stages of the game works really well and gives the Zerg a lot of knowledge and vision. The zergling counter attacks that occur later in the game are done well and get a lot of damage done. The general army composition is strong throughout most of the game. The use of changelings is done well and important for finding the Protoss armies. For the most part, the army positioning is done well. Bases are taken at a good rate, the Zerg expands to the fifth, sixth and seventh bases at good times. This game is played really well and there are only a few mistakes that cause the outcome of the game to be undesirable. There are still a lot of minor things that can be changed, however almost everyone playing the game has a lot of minor things they can change to get better. The most important things to remember are the major changes, I would recommend practicing microing against psionic storm in a unit tester or on a map with a friend or practice partner who is willing to (or better yet wants to practice their storm micro). Next I wouldn’t be surprised if Frugs’ creep spread is better in the ZvT match-up due to it being more important and queens being more important. I would recommend making creep spread more of a priority in ZvP as well and adding on a couple of queens.